In 2018 we’ve seen many innovations in the baking industry, including a classic comeback, innovations in new and unique ingredients, exciting flavors, and velvety textures coming to the fore. Just like popular trends of the past, what we have witnessed in 2018 will likely influence baking for years to come. The following are some of the biggest baking trends of 2018. Red velvet cake has long been a part of bakery fare in the United States, and it has made a big comeback this year. Today, it is a symbol of luxury and beauty both in aesthetic and taste. 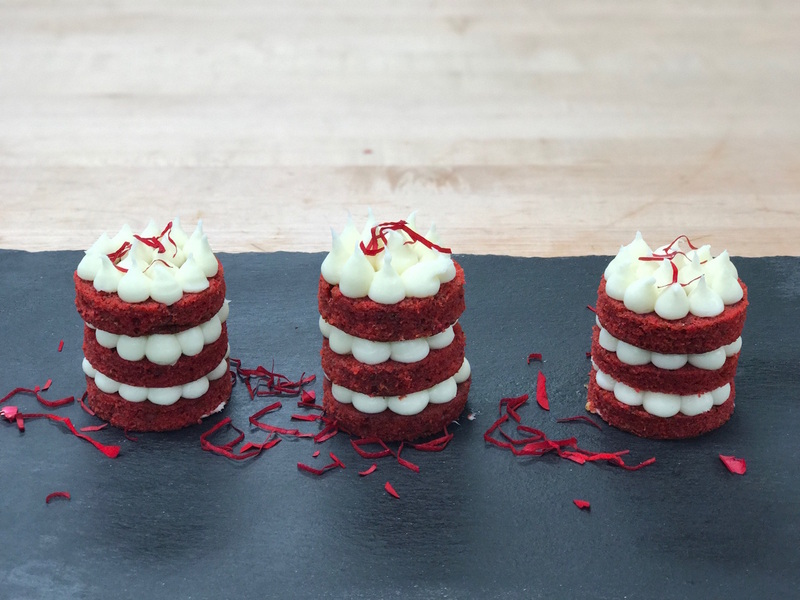 Beyond traditional red velvet cake, the velvety dessert trend includes delectable melt-in-the-middle options. To give a cake a sense of luxury, velvety chocolate and fruits are being used all over the industry. In 2018, the baking industry has witnessed the return of floral-infused flavors such as hibiscus, lavender, and rose. Also favored are flavors from herbs such as basil, rosemary, and thyme. It is no longer enough to have a well-textured cake—flavor matters. A sprinkling of botanical flavors can transform an otherwise flat berry, vanilla, or chocolate cake into something out of this world. Some bakers combine vanilla and lavender to make great tasting cakes. Just be careful not to overdo it. Using too much lavender, for example, will give cake a soapy taste. Bakers are becoming increasingly influenced by different cultures. Cultural staples are featured and often enhanced or transformed into something new and exciting. For example, churros are becoming mainstream, and the dips and flavorings used on these pastries will change depending on where they are being sold. White chocolate dips and matcha tea dips are popular in Asian restaurants, for instance. Healthy living is a trend that’s defining many industries, including the world of cakes and pastries. In the past, bakery products were teeming with sugar and fat. But now, healthier substitutions are commonly used in cakes and pastries. One of the biggest baking trends of 2018 is bakers using healthy ingredients in place of unhealthy ones. Today, it’s not uncommon to see items such as chickpeas, applesauce, coconut cream, or yogurt listed in cake recipes. With continued emphasis on healthy living, this is a trend that will definitely continue into the future. It is no longer a must to completely cover a cake in excessive amounts of buttercream. Today, more and more consumers are requesting naked cakes—those that have buttercream and fruit in between sponge layers but are bare or only lightly frosted on the outside. The resulting cake emphasizes the beauty and elegance of the cake layers and filling or can create a rustic appearance. We’ve seen some fun trends in 2018, and it’s not too late to try them for yourself! Délicieux Simply Eggless would love to work with you to create an on-trend dessert for your next special occasion. Stop in or give us a call today to see for yourself what we can do. We are located inside Pioneer Cash & Carry near the 605 FWY & 91 FWY.